My name is Viktor Gustavsson and I live in Vendelsö. I have been working as a golf pro for 11 years and have been member of the Sweidish PGA since 1995 and I have my academy VG Golf Academy at Haninge Golfclub there I also grown up and played for in my playing career. 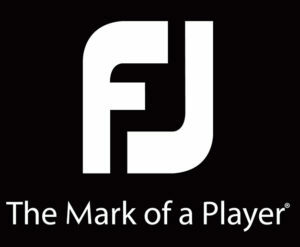 Since 2013 VG Golf Academy is also at Fors Golf. I work on daily basis with players from Europeantour to beginers on the age span from 4-90 years old. I have played golf for 33 years and before I became an golf instructor I played on the Swedish national team and from that I tooked the step to play on different tours around the world. I realy love golf and my work, every day I have the opportunity to meet wonderful and intresting people. The more I learn of golf and life, the more I realize it is to learn, wonderful! As I use to say, I´m confuesed on a higher level. 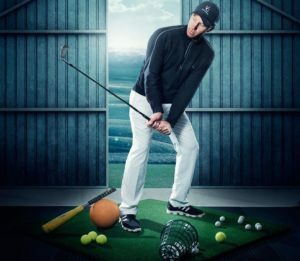 Keep It Simple, every people is different with different swings and swing faults, but their are one position that is of importance, the impact. I have known Viktor almost my whole life and he has always helped and supported me. Since a few years we have been working hard togheter on both the full swing and the short game, and I have learned alot and also become a better player by his knowledge in swing and shortgame. He is very accurate as a coach and have been a very good player which I like alot for a coach. Viktor has been on a long journey, from a player on Tour to implement TU ( coach training ) . Now he coaches the best youth and profesionals in Swedenl, conducts training on short game together with Henrik Lundqvist ( a course that is extremely popular ) , head pro at Haninge GK , coaches players on the Nordea Tour , Challenge Tour and the European Tour with names as Alex Noren . Personally I think he is a really good sounding board for me when I train or calling from any country and wonder if any detail of the game. The best with Viktor as a coach is that all theory is backed up with practial execution. I have laerned and developt as a player since I started to work with him and also got back the motivation for golf again. Viktor is not just a great instructor for the big guys on the tour, he also work and help us amateurs reducing our hcp every year. On Haninge GK is Viktor also our Sport director. Amoung our members he plans differnet traing packages on winter and in the summer that is much appreciated. We are very lucky to have Viktor so that we amateurs have an oppurtunity to develop, be inspired and reach higher level with our golf game.